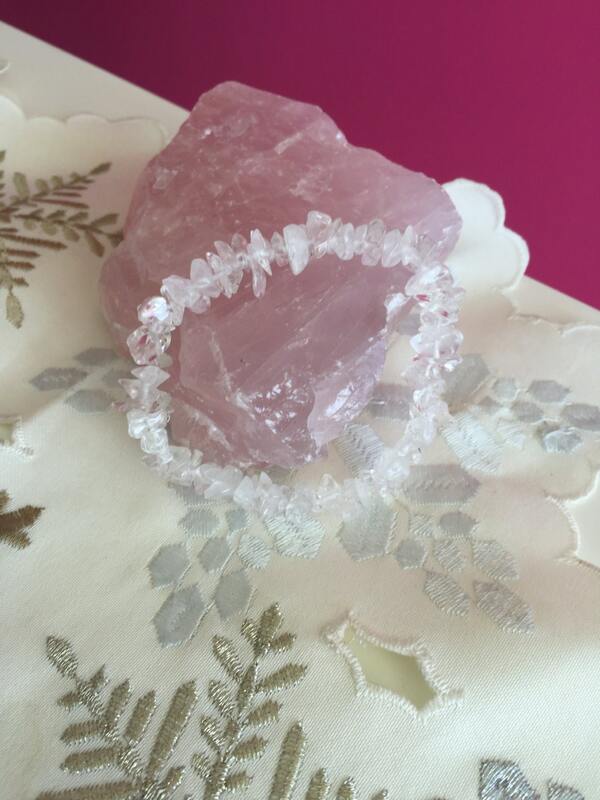 Beautiful clear quartz Chakra Balancing Stretch Bracelet. Beaded with care and handmade with strong elastic stretch cord. An amazing addition to any men's or women's jewelry collection, perfect for any occasion. Due to its elasticity, will fit all wrist sizes 7-8 inches. This listing is for 1 (ONE) bracelet. Clear Quartz is known as the "master healer" and will amplify energy and thought, as well as the effect of other crystals. It absorbs, stores, releases and regulates energy. Clear Quartz draws off negative energy of all kind. It balances and revitalizes the physical, mental, emotional and spiritual planes.